I purposefully started out slow with CrossFit. At the beginning I wasn’t sure whether I’d like it at all, so I avoided any upfront investments in gear. For the first two months I just worked out in running shoes and my old soccer things. It wasn’t until one of the coaches at CrossFit am See in Germany pointed out that it’s not ideal for me to lift weights in the shoes that I was wearing and me being certain that I’d continue doing it for a while, that I bought more appropriate shoes. I went with the Reebok Nano 4.0 that I had seen a few people wear and am quite happy with the purchase. They are light but provide enough stability at the same time. Burpees is hands-down my least favorite exercise. I’m generally bad with exercises that are supposed to get your heart rate up because I still have problems with getting enough oxygen in, so they take the wind out of me pretty quickly. They also hurt my knees (I’m not able to do a full burpee push-ups yet), which didn’t make me like them more. 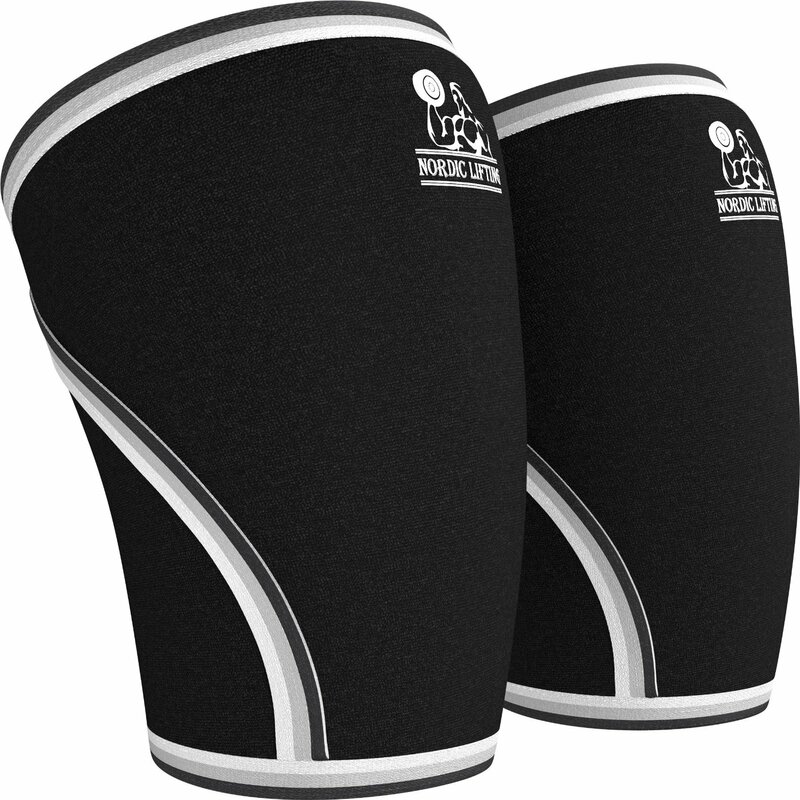 My solution was a pair of knee sleeves that are also supposed to help a little with squats and weight lifting. In the end I went with these sleeves that seemed to be the best compromise of price (I payed $39.95) and function. While I don’t have a reference pair to compare them to, so far they’ve served me well. I might upgrade to a different pair that feels better in the kneekehle at some point in the future, but so far it has not bothered me enough. Another of those aerobic exercises that I’m not good at are Double-Unders. I have yet to master getting that rope around my long body twice more than once. I really like the ropes that my current box Strong & Steady CrossFit uses, so I bought one for myself to take with me on the road and practice. It might not be as elegant as the super thin ones, but so far I really liked them a lot better. Most boxes I’ve been to use spring collars to secure weights on a barbell. They are way cheaper than their plastic counterparts, but also a lot harder to put on and take off. Especially after an extended weight liftings session with sweaty hands. I saw a fellow member of the box I go to bring a set of his own collars to use. I liked the idea of always having a pair that I could use comfortably so much that I also got a pair of my own. I decided to order the red one to make it easier to recognize them and distinguish them from the one my box might have. When you order some for yourself, make sure to order the right diameter, they offer them in 1″ and 2″, you’ll likely want the 2″ version for your standard barbell. Finally I decided to buy a pair of wrist bands to help me with stability in my Overhead Squats. I haven’t made a purchase yet (it wouldn’t have arrived in time for my current trip) but I’ll likely be going with the WODies. They also come with a palm protector, something that I keep having problems with whenever we do any kind of exercise that involves me hanging from a bar. Do you have a favorite pair of wristbands/palm protectors? Which ones? I haven’t been using wrist wraps lately, but when I do, my favorite are the thicker ones from Rogue. When doing very high rep work hanging from a bar, I project my hands with Natural Grips (which can be held in place with tap or wrist wraps) or leather gymnastics grips. 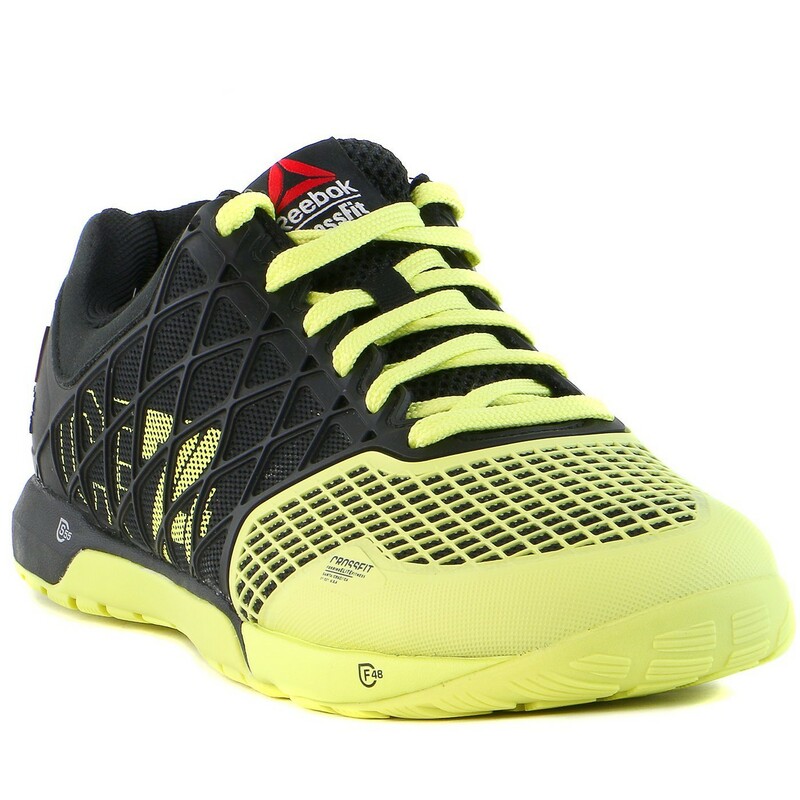 The Nano 4.0 are my favorite shoe of any type, ever. I find they are so comfortable that I use a black and red pair as my daily walking around shoe. As for the wrist guards. I have a pair of Wodies and am overall pretty happy with them. I bought them because of the palm coverage as well. I’ve bought a number of palm guards and none have been ideal. Even the Wodies I’ll say are not ideal. Because of the cloth that goes around each individual finger, it makes them a tad bit uncomfortable. But, you have to weigh that against the possibility of ripping your hands when doing a bunch of T2B or kipping pullups.